Thumburt and Reg rushed to the window along with the other guests. Outside, the statue still sat motionless, with several important details missing. Bruno, Gilly and Sophie were gone. The scene of the tombstones was all that remained. “Where’s Sophie?” Thumburt asked immediately. “She went back to her swamp; she said parties weren’t her thing,” Reg told him. “Bruno and Gilly?” Thumburt tried. “Get to the swamp as fast as you can, and get Sophie. Explain that the statues are moving, and that it was a wizard that did it,” Thumburt instructed. “She won’t be happy,” Gilly muttered as she put down her plate of food. “Where are you going?” Reg asked. “To find Bruno,” Thumburt replied as he rushed out of the door after Gilly. He emerged out into the misty night air to see Gilly disappearing round the corner, off towards the swamp and Sophie. Adjusting his top hat, Thumburt made his way down the steps and turned in the opposite direction to Gilly. He could see the three statues ahead of him. Sophie and Bruno were almost as big as a standard Neovian house, and were busy peering into the upper windows of the nearby buildings with curiosity. Gilly’s statue was far too small, however, and was instead playing in the river, jumping up and down with a metallic ring. With a loud crash, Bruno’s statue put his hand through the upper window of a house and pulled out the occupant. Thumburt could see very clearly that it was the Crumpetmonger, local baker and busybody. The old Meerca struggled within the statue’s grasp. “Help me!” the baker screamed. “Bruno! Bruno!” Thumburt called out, hoping to find the massive Gelert. Why had he left the party so early? The statue of Bruno reared his head and glared at the Mayor. “Oh dear... you can hear me?” Thumburt hesitated, backing away. Bruno’s statue cocked his head. He pointed his cane meaningfully at the statue. Bruno’s statue let out an even more meaningful roar, dropping the Crumpetmonger. “Ah,” Thumburt said, as the statue broke into a run towards the Mayor. The Bruce ran back to the town hall as fast as he could, and shut the door firmly behind him. “Did you find Bruno?” Reg asked. “In a manner of speaking,” Thumburt replied, still pressed against the inside of the door. There was another roar from outside. “Change of plan, we’re going to wait here for Sophie, or Bruno, or whoever cares to help,” Thumburt announced. There was another shrill scream from outside. “Someone help me!” the voice of the Crumpetmonger echoed from down the street. Thumburt opened the door slightly and peeked out. Sophie’s statue had picked up the Crumpetmonger, and was shaking her upside down in the hopes that something fun would happen. Bruno’s statue meanwhile was busily gnawing on a nearby lamppost. Thumburt shut the door again. “Where will Bruno be?” he asked. “Sometimes he likes to walk in the graveyards,” Reg supplied helpfully. “Good, get down there and get him!” Thumburt ordered. Instead of voicing his opinion, he sighed and dashed out of the door, heading off towards the graveyards. “Ladies and gentlemen! I do apologise for the noise; everything will be sorted out soon - I can assure you!” Thumburt announced to the foreign dignitaries. There was a smash as Sophie’s statue put her hand through one of the town hall’s windows, and carefully extracted Volsan, the Yurble from the Lost Desert. If Thumburt’s face had been capable of falling further, it would have. The Mayor rushed to the broken window to see Sophie’s statue sat cross-legged in the middle of the street. She held Volsan and the Crumpetmonger, one in each hand, and seemed to be pretending that they were children’s dolls. “Help me!” the Crumpetmonger screamed. “Oh my, this reminds me of the time I was thrown into the legendary pit of the Fourteen Angry Mutated Cobralls in Sakhmet!” Volsan said almost merrily from the statue’s other hand. “Everyone wait here, please, away from the windows if you would,” Thumburt said hurriedly to the remaining ambassadors as he ran out of the door. Bruno’s statue was running down the street banging on the roofs of buildings using a lamppost he’d picked up, while Sophie’s statue was busy preparing a tea party for Volsan and the Crumpetmonger. The Mayor heard panting coming from behind him, and turned to see Bruno and Reg running down the street. “What do you want us to do, sir?” Reg asked as they reached him. “Bruno, do you think you are stronger than them?” the Mayor asked. Bruno looked warily towards his statue counterpart, who was caving in the roof of the Printing Press with the lamppost. “Maybe we’d better wait for Sophie?” Reg suggested. “No! Do something now!” the Crumpetmonger shouted as Sophie’s statue bounced her along the pavement in a mock walk. There was an almighty crash from the roof of the observatory. Gilly’s statue had prized off the large bronze planet that normally sat atop it, and was bouncing it down the street like a ball. It crashed into houses and shops. Those who were fortunate enough to be awake soon ran screaming in all directions. “We can’t wait for Sophie.” Thumburt sighed. “You don’t need to!” Reg replied, pointing up into the sky. Silhouetted against the moon was a broomstick, with two riders. It glided gracefully down towards the town hall, with Sophie grumbling at the over-enthusiastic Gilly who was holding on tight behind her. “Which wizard did this?” Sophie snapped. “Well, I’ll have a thing or two to say to him later on; mark my words,” she said as she got off the broomstick and rolled up her sleeves. “Don’t think you’re off the hook, either,” she added in a growl to the Mayor. She stalked over to her statue. “Put them down,” she commanded. The statue blew a metallic raspberry at her. Sophie produced her magic staff from under her robes. “Bruno, I think there’s some metal chains at the Printing Press, could you get them?” she said casually to her brother. Bruno nodded and lumbered off towards the Press building. “Now both of you just stay very still,” Sophie instructed the Crumpetmonger and Volsan. The witch pointed her staff at the statue, and gently lifted it off the ground with her magic. 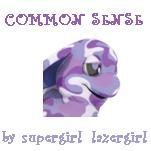 Carefully prizing open the statue’s fingers with unseen force, she deposited the Neopets on the ground. “I’m going to put them in the old warehouse until we find Oldnose and sort this out,” Sophie told the others as she walked down the street, the statue floating bemusedly in front of her. It took half an hour, and a lot of hard work making Gilly’s statue chase her new ball down the street into the warehouse, but eventually all three statues were chained safely away. “I don’t understand; the statues were fine when they arrived,” Reg observed as they walked away from the warehouse. “I don’t think it’s me he should be worried about, somehow,” Sophie chuckled. There were lights on all over Neovia. Everyone was up, and gathering in groups on the street. Word was spreading, and gradually, a mob was moving towards the town hall. In the graveyard, a blue Kougra finally stopped running. The hubbub in the town seemed to be dying. He leaned back against a tombstone and sighed heavily. The statue had crashed into the building right next to him; he’d had no option but to run. He let his hands clench into fists. The Kougra looked around for the source of the noise. Who was calling his name? Except it wasn’t a voice, not really, it was more like words inside his head. They echoed back and forth without any sound. You wish to make Neovia glorious again; we can help you, the voice continued. “I... who are you?” Desmond asked. We are the keepers of great magic; we can help you remove that fat oaf from office. We can put you in his place, we can make you Mayor of Neovia, the voice told him. “I don’t want to be Mayor,” Desmond said, backing up against a crypt. You want to improve Neovia, don’t you? You want to make it better than he ever could? the voice asked. To do this, you must be Mayor. We are offering you a deal, all of our power to help you gain Neovia, the voice told him. “In exchange for what?” Desmond asked. We wish for nothing but the salvation of Neovia, the voice explained. Let us help you, and we will already have everything we want. Something in Desmond’s head told him it was a mistake, but he ignored it. This was too great a prize, for the good of everyone. “I accept your deal,” he said. At once, the shadows of the tombstones began to move, swirling around him like mist. “What are you doing?” Desmond asked, trying to back away but finding his feet glued to the spot. Silence, flesh! the shadows screamed at him. You are ours now! The shadows leapt, and for a moment, Desmond sat cowering against the crypt. Then he stood up, new purpose in his stance. "I don't want to rest," Baltund said. "Karate is so awesome, and I really want to get that black belt!!" Don't you know where discarded dung goes? !